People have long been conflicted about annuities. On the one hand, they like the guaranteed lifetime income that only an annuity can provide. When Greenwald & Associates and CANNEX queried people 55 and older for its 2018 Guaranteed Lifetime Income Study, for example, 73% said they considered guaranteed income a highly valuable addition to Social Security. But they don’t like having to give up access to their savings: 75% of non-retired investors polled last year for the Wells Fargo/Gallup Investor Optimism and Retirement Index said they want the freedom to spend their retirement savings however they choose, even if it means possibly running out of money too soon. Fortunately, there’s an easy way to resolve this conflict—compromise. (Yes, I know the notion of compromising seems to be falling out of favor these days, but it can still be a useful concept.) In this case, the idea is to give up control of a modest portion of your nest egg, say, 20% to 30%, and invest it in an annuity to receive steady income you can’t outlive. You would then invest the rest of your savings in a traditional portfolio of stock and bond mutual funds that can generate long-term growth to hedge against inflation and act as a ready stash you can tap to pay expenses beyond those Social Security and your annuity income cover. There are a number of different types of annuities you could use to pull off such a strategy. But if you want to keep things relatively simple and hold down costs, there are two that are especially worth considering. The first is a plain-vanilla, no-bells-and-whistles immediate annuity. In the world of annuities, this is about as simple and straightforward as it gets. In return for a one-time investment, an insurance company agrees to pay you a specific amount each month. 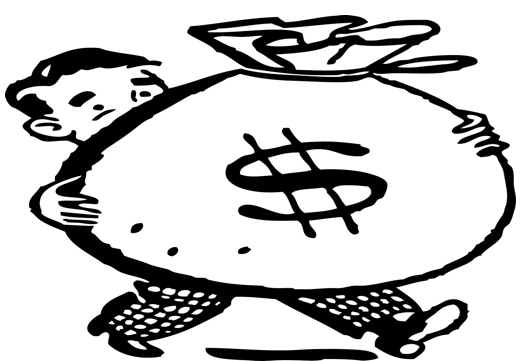 The payments start right after you buy the annuity and continue the rest of your life. So, for example, 65-year-old man who invests $100,000 in an immediate annuity today would receive about $545 a month for life, while a 65-year-old woman would get about $520 a month. That money, combined with your Social Security benefits and pension payments, if any, would represent guaranteed income you could count on throughout retirement, no matter how long you live. The second type of annuity that works well in such an arrangement is a deferred annuity, aka a longevity annuity. Let’s say that between Social Security and withdrawals from savings you figure you’ll have enough money to cover your retirement expenses, but you don’t want to find yourself late in retirement having to rely solely on Social Security if you spend through your nest egg more quickly than you expect. To avoid such a scenario, you could buy a longevity annuity that wouldn’t begin making payments until you reach a specific age, say, 75, 80 or even 85. Since the payments won’t start until many years in the future, you can get a sizable future payment with a much smaller investment than you’d have to make with an immediate annuity, which means you give up access to less of your savings. For example, a 65-year-old man who invests $30,000 in a longevity annuity today could begin collecting payments of $1,030 a month at age 85. A woman the same age would receive about $855 a month starting at age 85. 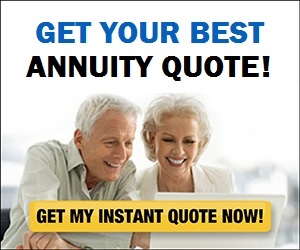 You can get quotes for both immediate and longevity annuities for different ages and amounts invested by going to this annuity payment calculator. Of course, not everyone needs or should own an annuity. For example, it would make little sense to buy one if you have serious health problems that could seriously curtail your life span, as you could end up forking over a considerable sum for relatively few payments (or possibly none at all in the case of a longevity annuity). That said, if you have a spouse or significant other, you may still want to consider a joint-life payment option, which makes payments as long as either member of a couple remains alive). I’ve given the broad brush strokes here for why someone might want to at least think about making an annuity part of his or her retirement income plan. If you decide this “compromise” approach might be right for you, you’ll still want to do a little more legwork before committing to it. Should You Buy An Annuity If You Think You Can Do Better Investing On Your Own? For example, since payouts can vary by 5% to 10% from insurer to insurer, you’ll want to shop around to make sure you’re getting a competitive payment. And you’ll want to consider moves like investing your money gradually rather than all at once and spreading your annuity investment dollars among several highly rated insurers. For more on these and other tips, check out this column. Walter Updegrave is the editor of RealDealRetirement.com. Have a question you’d like Walter to answer online? Send it to him at walter@realdealretirement.com. Follow Walter on Twitter at @RealDealRetire.